Advanced IP Scanner will scan and monitor any devices connected in network. All incoming and outgoing connections have been monitored in real-time mode. 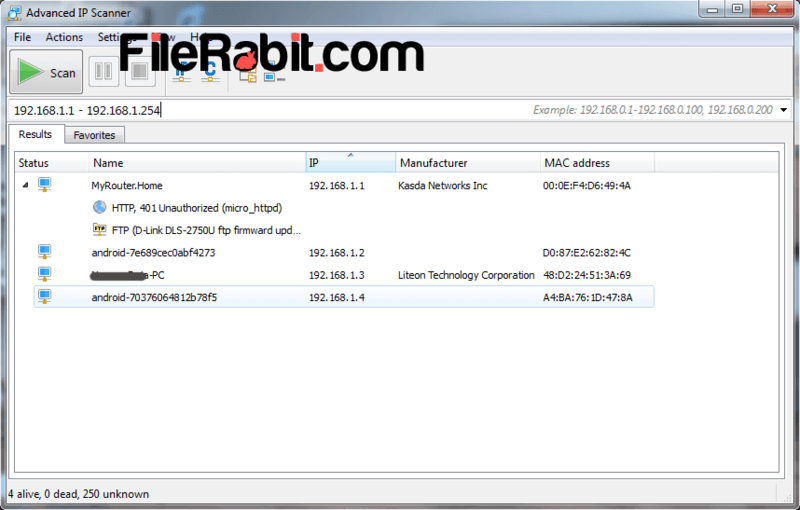 It gives complete control over shared printers, folders and files located under network connections. Radmin and RDP are 2 main ways to control network connections via LAN. The control makes you eligible to shut down or restart another computer through advanced IP monitor. Many online (multiplayer) gamers are playing different PC games through LAN connection so with this little tool, they can also operate their mate’s computer. Get access to shared files e.g. copy data, delete or move files to another location (authorized admin access required) with simple and easy steps. Network admins or network management team always love to use professional LAN activity monitor and controller tool. There are current more than 20 million administrators were using Advanced IP scanner as their default LAN scanning program. 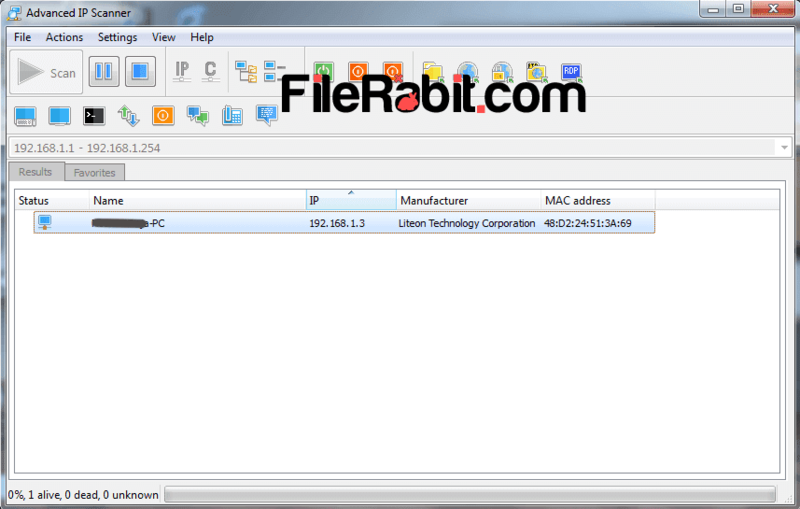 However, locate MAC address of any hardware device to use security in MAC filtration. After scanning, it shows a feature to export output results in CSV file format. Moreover turn off computers with this powerful tool right from your own computer screen. Radmin and RDP are 2 more professional tools used to operate network computers remotely. It support both of these software with simple and easy to use methods. However, it can be run on computer as portable program so don’t waste your time in installation. Get instant access to shared files, folders, printers, scanners or anything that was shared under My Network Places.